The new Portable File Box from Storex has an extra large storage inside the lid for all of your supplies. 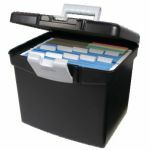 It holds 5% more hanging letter files and folders than our old box. It features a clamping latch which shuts the lid safely and, for added security, it also accepts a padlock. 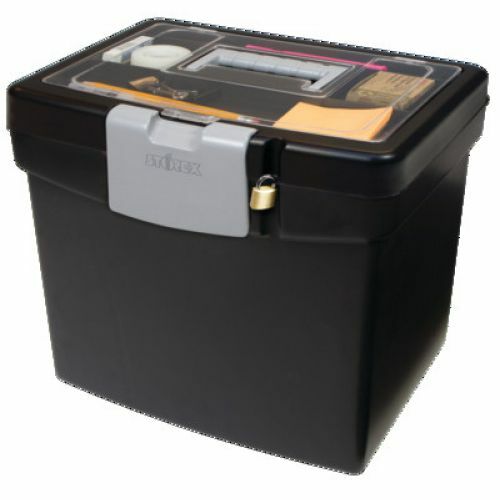 Extra Large compartment in lid.